Watch the full episode. See more Arizona Illustrated. 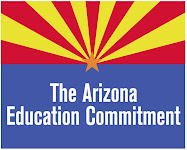 Arizona Education Network President, Ann-Eve Pedersen and University of Arizona President Robert Shelton joined Kimberly Craft on KUAT's Arizona Illustrated, Tuesday, March 22, explaining the impact of proposed budget cuts on Arizona's students. To write a letter to the 60 CEOs mentioned in this interview, click here.